The heat pump Geyser Water Heater reduces the amount of energy needed to heat water in the home by up to 70-75%, saving hundreds of rands every month. It comes with a digital systems controller which intelligently controls the heat pump to ensure the highest possible efficiency. The controller also feautures automatic defrosting enabling the heat pump to heat your geyser even in freezing ambient temperatures. It also enables you to set the desired water temperature and set operational times. 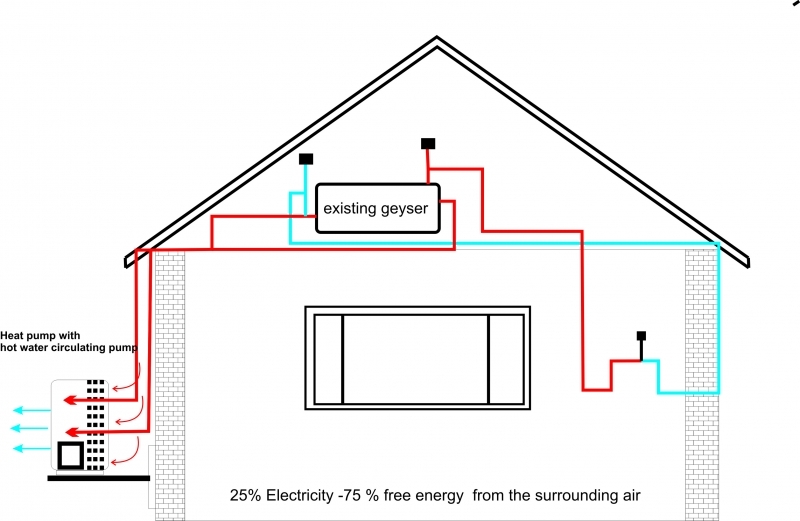 Double up: A single heat pump can also be installed to heat two geysers depending on the placement of the existing geysers. 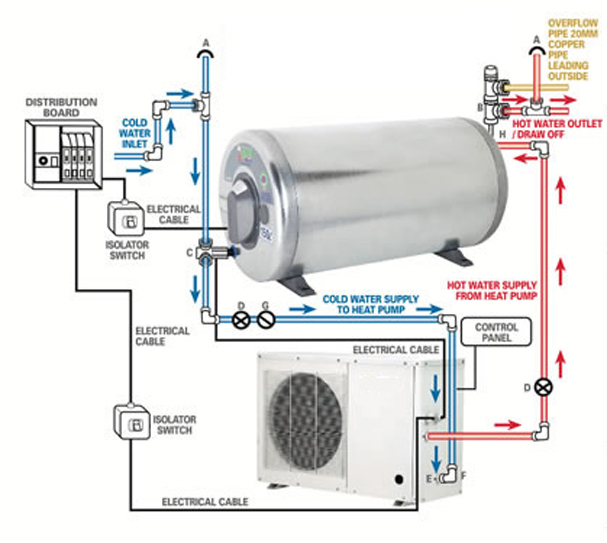 We disconnect the existing geyser element and convert your existing geyser to a heat pump geyser. The heat exchange unit with circulation pump is wall mounted with piping to and from geyser. Your geyser element is disconnected so there are no surprising electricity bills. suitable for any size geysers. While recommended it is not compulsary to have on north facing side of property. The Heat pump has an easy to use LCD controller with clock to control usage. The unit is CE, TUV Rhineland and SABS approved. The compressor is National Panasonic and it has a Grundfos water circulating pump. Silver Solutions sources is clients the most reliable products for the best return on investment. Our range of energy efficient options pay for themselves within one to two years and earn users. Contact Silver Solutions for more info.